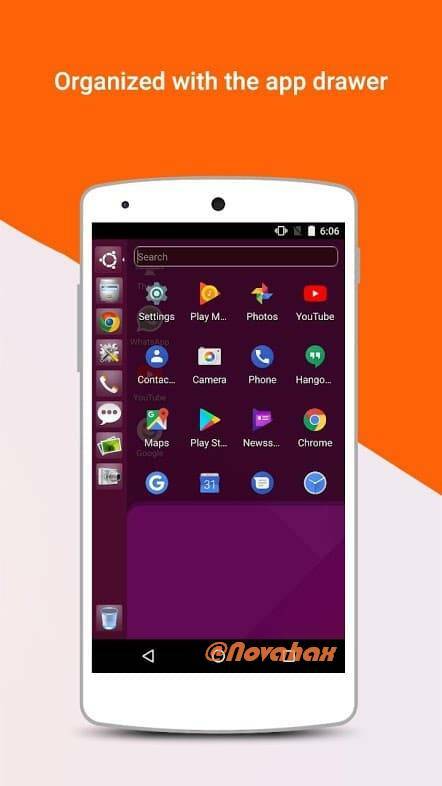 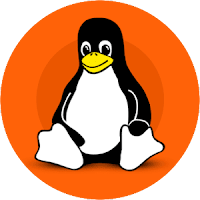 Ubuntu Style Launcher is the Ubuntu version of computer launcher, give a Ubuntu and Linux computer style look on your Android. 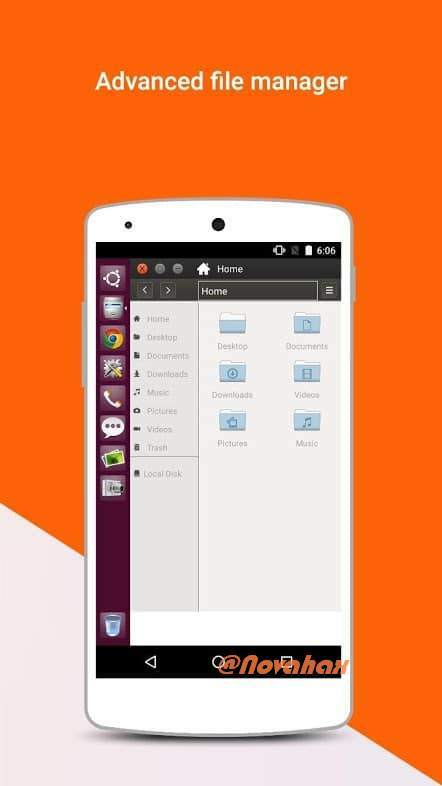 Amaze your loved one with Launcher for Ubuntu style look and also share it with your loved ones. 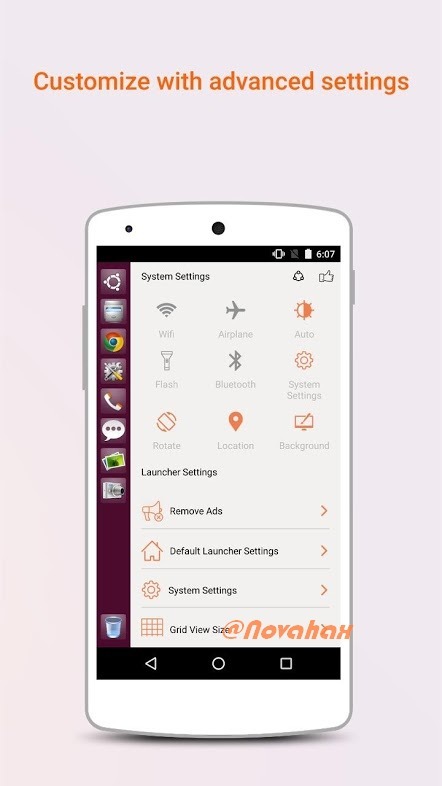 Customize your phone with unique look and feel of the fastest launcher. Built-in ZIP support allows you to decompress or extract ZIP/RAR filesListing of all of your drives, SD Card, Storage, audio and video files and pictures in PC style.